Ingolstadt shocked many in their first Bundesliga season, ending the campaign with a seven-point cushion on automatic relegation. 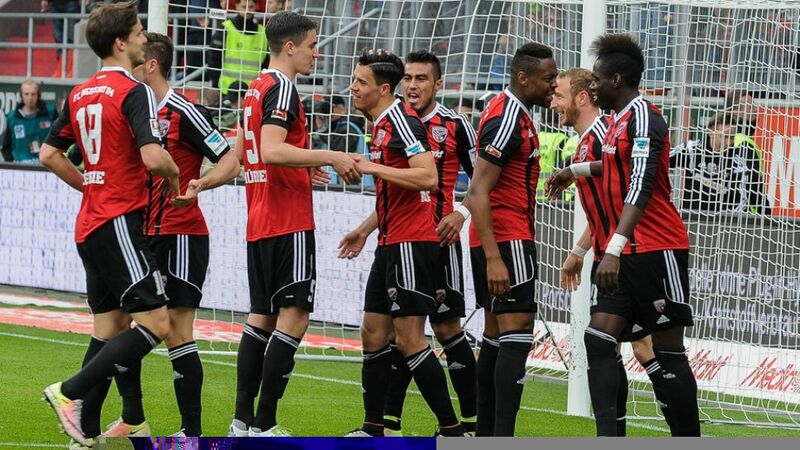 Despite being tipped to struggle, promoted FC Ingolstadt 04 defied the odds with a water-tight defence and a formidable home record to finish the 2015/16 campaign in 11th. Promoted as champions, Ingolstadt became the 54th side to feature in the Bundesliga, and, having been founded in 2004, the youngest. The aim at the start of the season was top-flight survival. "We are writing a new history," was Die Schanzer's motto. FCI immortalised themselves quickly, becoming the first promoted side in Bundesliga history to win their first three away games. FCI celebrated their biggest ever Bundesliga victory when they beat Schalke in April - playing their now-recognisable brand of football. Top scorer Moritz Hartmann opened the scoring with a penalty before high pressing forced Schalke into defensive errors which Lukas Hinterseer and then Dario Lezcano capitalised upon. A six-goal thriller with no winner. Ingosltadt led 3-1 just past the hour thanks to goals from Hartmann, Matthew Leckie and Lezcano, but Stuttgart battled back with Daniel Didavi's late penalty seeing the spoils shared. After going behind to a ninth-minute Aytac Sulu header, Ingosltadt turned the game around in the second half, with Robert Bauer equalising before Hartmann became the first FCI player ever to score a top-flight brace. Hartmann is Die Schanzer's longest-serving player and with 12 goals this season, also their top goalscorer. This was his best return since the 2009/10 campaign, when he scored 21 times in the 3. Liga. Although his first season in the Bundesliga - as with many of his teammates - at 29 years old, he is also one of the veterans of the squad. The experienced forward had a 100 per cent record from the penalty spot, converting eight, including one against Germany's number one Manuel Neuer.